What is your favorite quote? I absolutely love this quote from Maya Angelou: “Try to be a rainbow in someone’s cloud.” I chose this for the month’s quote coloring page for adults. Don’t you just love that quote? This quote coloring page for adults was so much fun to draw and to color. I am in love with the bright colors and whimsical feel this coloring page gives. When I got the idea in my head, I just couldn’t let it go. I hope you enjoy it as much as I do! Let me tell you a little about the inspiration behind this “Rainbow in Someone’s Cloud” quote coloring page for adults. When I heard this quote the first time, rainbow wasn’t the only thing that immediately stood out to me. I also imagined a cloud. But not just any cloud. I imagined one of those little rain clouds, you know, the ones that follow cartoon characters around. Who would want to pay any mind to a scruffy old stinky, homeless, dog like this, right? Well, that dog just needed someone to be a rainbow in his cloud. Notice the little girl in the picture is holding her rainbow umbrella over him to shelter him from the rain. She herself has her own cloud following her, but she was selfless. She decided it was better to serve someone else than to dwell on her own rain cloud. See her hair? There’s water bouncing off of her all over and her hair is getting wet and frizzy. It is no longer nice and neat to go with her pretty dress, but yet she is serving this dog. He’s not even a human being. He doesn’t really care if he’s smelly or if his fur looks crazy, but she still chooses to be a rainbow in his cloud. Her sunshine and kindness sheltered him from his storm. It brought him hope. Her light shined through the water droplets of his hovering cloud and created a beautiful rainbow that they both can now enjoy. Even better, I bet that dog is going to give this little girl some very special love, like dogs do, and put a rainbow in her cloud–a double rainbow, one of the most beautiful sights you can see. This is so true for us humans, too. To be honest, I used a dog for multiple reasons, the main one being that dogs are a little easier to draw than people, but also because I wanted to share a generally powerless creature, misunderstood, smelly, and didn’t necessarily know he needed someone to step in. We all have our own rain clouds, sure, but I implore you to try to be a rainbow in someone’s cloud. You may be very different. You may not even like the person per say (maybe you will get a chance to change this!). This person may not easily see or appreciate that beautiful rainbow for one reason or another, but oh, it will make a lasting impact even if you don’t see it right away. Promise to love others. To make people smile. To bring a little joy to their day. To serve others selflessly. You will likely get to see that beautiful rainbow too, because blessing others is a blessing. Blessing others is a blessing. Make someone laugh. Buy flowers and hand them out. Offer to pray for someone and be a listening ear. Hand out packs of necessities to those on the corners (meal bars, toothpaste, socks, etc). Send a card or care package to a deployed service member. Pay for the coffee of the person behind you in the coffee shop drive-thru and leave an anonymous note for them (the cards available below are perfect for this!). Here’s my challenge for you: Find ways to serve someone else selflessly each day for the next month (and I don’t just mean being a parent–I mean beyond this.). Each time you see a rainbow (in the sky or somewhere else), picture this analogy. Rehearse the quote. It really is a concept to live by. Love my colored page? You can print this fantastic full-color package below. This printable package comes with an 8×10 print, a small desktop print (includes a kickstand or foldable bottom to stand it up, whichever you prefer), as well as a greeting cards. Purchase this package on Gumroad. To color this page, I used a variety of tools, but stuck with the same pack of colored pencils. I used this pack of colored pencils to color the entire page. To get the color variety, I worked with blending colors, adding layers for brighter colors, and very gentle coloring where the pencil just barely scraped the paper surface to achieve the lighter colors. I did use one light blue Stabilo Point 88 Pen on the rain drops to to make them a little bit bolder, then I added a dot of white chalk marker so they stood out. The colors in the sky were blended using this blender pencil, but I did not blend the dog’s scruffy fur, the cross-hatch grass, or the scribbled-in pathway as I wanted those to have some texture. I added some colorful highlights to the clouds, leaving most white (except for the two dark storm clouds over our characters.). I used the white charcoal pencil and chalk marker to highlight here and there as well. The chalk marker also did a great job softening the black lines around the clouds. Once I was finished coloring, I carefully went back over some of my lines with the PITT pens I use for drawing the pages so the lines were bolder and popped a little bit more if I’d colored over them. My boys wanted to color this too! Didn’t they do a fantastic job?! The one on the left was by E, my oldest, and the one on the right by S, my toddler. S copied his big brother with the ROYGBIV color order. Tips for using this for parenting/homeschool: Use this activity to teach history about 19th century America per the song quoted by Maya as she discussed rainbows, Maya Angelou, and biblical history of rainbows. Use it as an activity while teaching STEM principles of weather and how rainbows are formed. Use it for English class, teaching about quotes. Use it for playdates and teaching life skills like being kind to others and serving others. Use it for Sunday School lessons on kindness, serving others, and the rainbow promise (I will try to write a kids’ devotional to use with this and share with you.). Use it for fine motor skills (this helped my son while he was in OT.). Use it for discussing emotions and pairing symbols with emotions and actions (rain cloud = sad, showing kindness cheers up/makes happy). Use it as a St. Patrick’s Day activity. Use it for art class, teaching rainbow color order and color mixing. Print the cards and have your children hand them out while serving others in the community. Will you try to be a rainbow in someone’s cloud today? A friend? A family member? A coworker? A complete stranger? Know what I would put a rainbow in my cloud? If you would share this free printable quote coloring page with your friends and family and put a rainbow in their clouds! 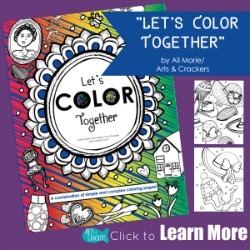 You can share on social media, in an email, by word of mouth…I’d also love for you to share your completed pages with me, either to [email protected], on my Facebook, tag @Artscrackers on Instagram or @AlyssaDarbyBlog on Twitter with the hashtag #ColoringTribe, or share in our Coloring Tribe Group! Seeing these pages enjoyed and colored by others makes it all worth it. I “heart” your support! Keep reading for more FREE printable quote-themed adult coloring pages! This quote coloring page for adults is part of a blog hop with my “Coloring Tribe“! 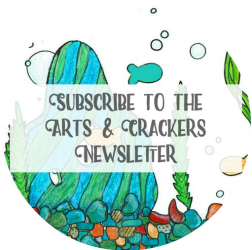 Once a month we will each bring you a FREE detailed coloring page on a different topics. Join our Facebook group here to share your awesome colored pages! adult coloring pages, coloring, ColoringTribe, decorating, learning, printables, quotes, rainbow, St. Patrick's Day. Bookmark. I love this saying, and the picture is perfect for it !! Thank you for sharing.